Like the hero of The Princess Bride, it seems that the Toyota Yaris hatchback was only "mostly dead," and Miracle Max -- in the form of Mazda -- is on the case. Toyota said Monday it will debut a redesigned 2020 Toyota Yaris hatchback this month at the New York auto show, less than three months after it ended production of the 2019 version because of slow sales. Based on the Mazda2 and built in Mexico by Mazda for Toyota, the redesigned 2020 Yaris hatchback will be offered in a pair of single-spec trims: LE and XLE. Both trims will come with standard equipment including 16-inch alloy wheels, body-color door handles and heated power side mirrors, chrome-tipped exhaust, Smart Key entry with push-button start, fog lights, rear backup camera, intermittent wipers, an onboard first aid kit and a larger, 7-inch touch-screen display. In addition, Toyota says both Yaris trims will be equipped with the hardware needed for onboard navigation through the car's infotainment system. Customers will be able to buy an SD card from their Toyota dealer to enable the embedded feature. But the system also comes standard with Apple CarPlay and Android Auto capability. The higher-end XLE trim will include gray or black leatherette seats, automatic climate controls, rain-sensing wipers, automatic LED headlamps and leather trimmed steering wheel and parking brake handle. 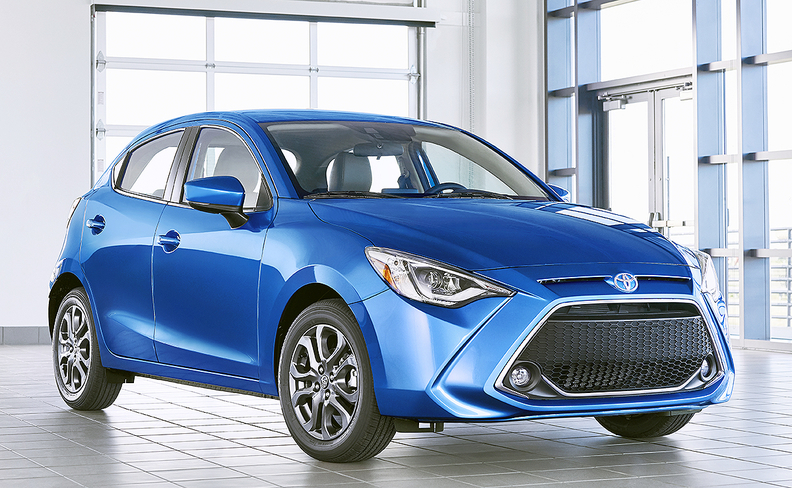 In terms of safety, Toyota says the 2020 Yaris hatchback will have a standard low-speed pre-collision warning system with brake assist, as well as standard dynamic stability control, traction control, antilock brakes, electronic brake-force distribution and brake assist. The 2020 Toyota Yaris is equipped with a 106-hp 1.5-liter inline-four engine paired with a six-speed automatic transmission. 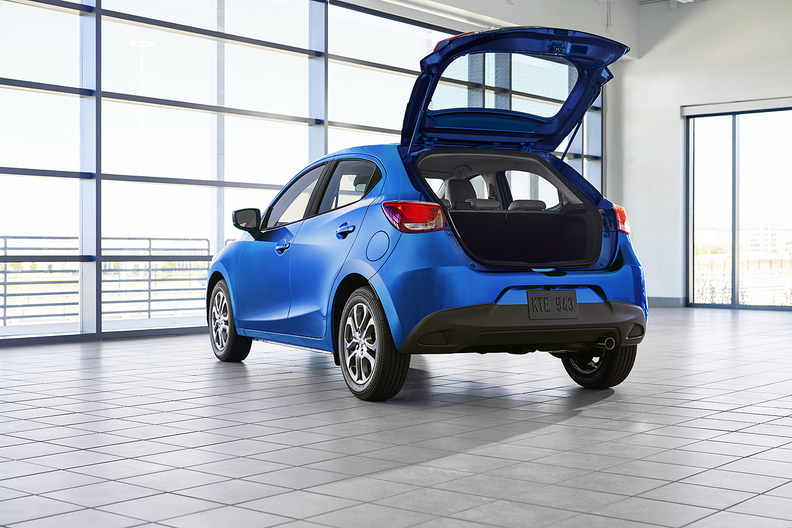 The subcompact will also come with Standard Toyota Care, a complimentary service plan covering normal factory-scheduled maintenance and 24-hour roadside assistance for two years or 25,000 miles, whichever comes first. Through the first two months of the year, sales of the Toyota Yaris liftback in the U.S. had fallen another 57 percent to just 132 cars. In 2018, Yaris liftback sales finished down 78 percent to just 1,940 cars, according to Toyota Motor North America. Pricing for the 2020 Toyota Yaris hatchback was not announced. It is scheduled to be in U.S. dealerships in September.